In this article I'll discuss about the various ways that you can use YouTube to create collaborative and powerful eLearning courses. The key to tapping into the power of YouTube is to know how to effectively integrate it into your eLearning strategy. 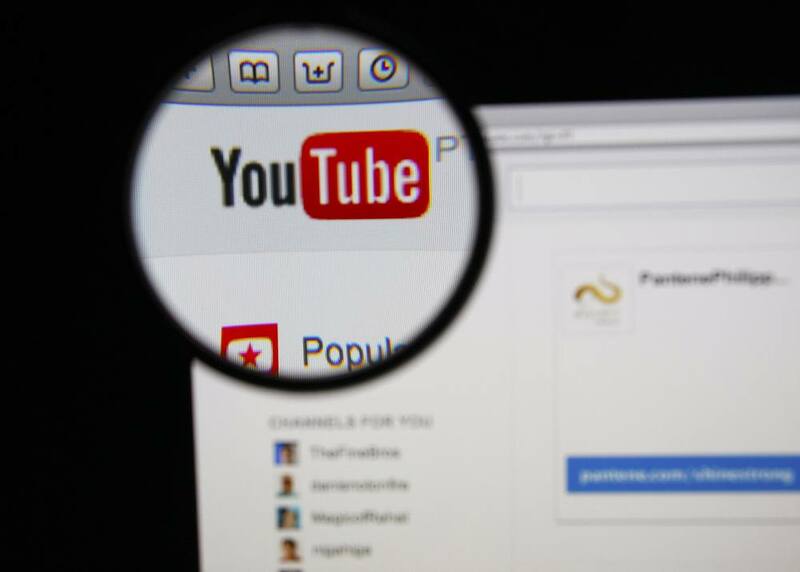 In recent years, YouTube has become a central hub for video sharing and virtual entertainment. However, it can also be an invaluable learning tool that eLearning professionals can use to make their eLearning courses more interactive, fun, and informative. In fact, it has the power to transform a potentially dull or complicated subject matter into an overall exciting and engaging eLearning experience. Develop playlists that explore a specific topic. YouTube gives you the ability to create playlists that are fully customizable. You can create a playlist for each subject of your eLearning course so that learners can quickly access videos that will help them expand their comprehension or learn more about a topic. This makes it an ideal tool for asynchronous courses, given that eLearning professionals can create playlists that accompany guides and courses, without having to provide individual links for each video. Create webinars that learners can use as reference tools. YouTube gives eLearning professionals the power to create videos that learners can access even after the eLearning course has ended. These videos, either these are webinars or presentations, can serve as invaluable reference tools for learners who want to refresh their memory about a particular module or review the content before an exam. These videos also have the power to potentially draw in new learners, as well, due to the fact that they will get the chance to get a glimpse of the benefits that your eLearning deliverable offers. Have learners make their own YouTube videos to improve knowledge retention. Why not ask your learners to create YouTube videos that recap information they've learned or focus on a specific topic? This will not only help to boost knowledge retention, but it will also allow them to build upon their design skills and creativity. Be sure to provide them with clear guidelines, so that they stay on topic and know exactly what is expected of them. For example, should they include narratives? How long should the video be? Also, offer them a wide range of resources that they can use to create the video, such as free image editing tools and free audio tools. Improve comprehension rates by visually illustrating a complex concept. Complicated subjects can be difficult to explain by utilizing just text or images. However, YouTube videos can illustrate a complex concept or process by visually demonstrating the steps or ideas involved. For instance, if you are teaching the basics of point of sale transactions (POS) during a training event, you can create a video that walks the learners through the process, or even find an existing video that offers them an in depth look at how to perform the task. This will help learners to more effectively acquire and retain knowledge and skill sets, given that it provides a visual context for your eLearning course content. Use privacy settings to share videos only with certain groups. YouTube privacy settings can be customized for the videos that you've uploaded. For example, if you want all learners to access a video, it can be set to “public”. On the other hand, if you want only a selected group of learners to watch the video, it can be set to “private”, whereby they will need a link to access the content. This is ideal for eLearning professionals who are offering “invite only” events or want to let a colleague evaluate the presentation before it's integrated into an eLearning course. Encourage collaboration through group YouTube projects. Ask learners to further explore a subject matter by watching relevant YouTube videos, and then to discuss the topic with their peers online. Google Hangouts and other online chat platforms give your learners the opportunity to talk about the eLearning course, ask questions, and even offer their feedback on the student-produced videos. This allows eLearning professionals to add a more interactive and collaborative aspect to their eLearning course, which gives learners the chance to benefit from the experience and skill sets of their peers. Add annotations and links to provide additional resources. You can quickly and easily add annotations to videos that learners can click to immediately access online articles, sites, or other videos that you feel may be of value to them. You are also able to add links within the description box of the videos you've created, so that learners can find out about other resources that will help them to better understand concepts or ideas that are featured in the eLearning course. Rather than wasting time by searching the web for additional references, learners can rapidly view information online and remain fully immersed in the overall eLearning experience. Design eLearning self study courses with YouTube and Google Forms. With YouTube and Google Forms you can create eLearning self study courses that give learners the opportunity to learn at their own pace. You can develop webinars, recorded lectures, and presentations that current learners can use to explore a subject more in depth or even stand-alone eLearning courses. Once the learner has completed each module, a Google Forms quiz, that is free and easy to create, will enable you to assess their knowledge. Likewise, an online survey can help you to gather invaluable feedback. There are a variety of ways that eLearning professionals can use YouTube in eLearning. Best of all, YouTube can easily be integrated into just about any eLearning course, given the platform's versatility. So, if you happen to be looking for a way to incorporate videos and interactive learning materials into your eLearning courses, then YouTube may be the ideal solution. In addition, some say that videos hold the future of eLearning. I wouldn’t go that far. But what I can say is that videos can be a great medium in our domain if are well produced and strategically used together with other methods and techniques for the delivery of an effective eLearning course. If you would like to learn How to effectively use videos in eLearning, I highly encourage you to check the article 10 Tips To Effectively Use Videos in eLearning. Do you want to create your own video? In the article The Best Free Video Tools you will find 8 free video tools that can be used by any eLearning professional who want to create video tutorials or presentations. Last but not least, in the article Easy Methods to Create eLearning Videos you will find best practices in video learning and 3 easy methods for anyone to get started.